Obesity – a condition in which a person has an unhealthy amount of body fat – is often measured using a scale known as the body mass index (BMI). 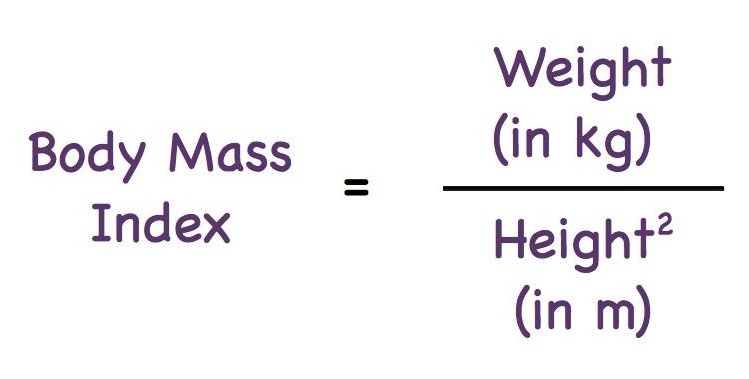 BMI is calculated as the ratio of a person’s weight (measured in kilograms) to the square of her height (measured in metres). So, a woman who weighs 64kg and is 1.68m tall has a BMI of 22.7, which is in the range of 18.5 to 24.9 and is considered normal. Below 18.5 is considered underweight, 25.0 to 29.9 is overweight, 30.0 to 39.9 is obese, while someone with a BMI over 40.0 is said to be severely obese. Compared with those of normal weight, people who are overweight or obese are at greater risk of many diseases, including various forms of cancer – click on the figure below left to see an infographic compiled by the National Cancer Institute (NCI). This would suggest that the woman with a BMI of 22.7 has a low risk of developing breast cancer. However, a research group from Memorial Sloan Ketttering Cancer Center in New York has just presented data to show that post-menopausal women with normal BMI, but with high body fat levels, have an increased risk for invasive breast cancer. How can this be? Although BMI is a convenient measure, it is not an exact method to determine whole body fat levels because muscle mass and bone density cannot be distinguished from fat mass. A more accurate method for assessing fat content is dual-energy X-ray absorptiometry (DXA). The investigators studied women aged 50 to 79 with normal BMI who had baseline DXA measurements and no history of breast cancer. There was a median follow-up period of 16 years and of the 3,460 participants, 182 developed invasive breast cancer, of which 146 were oestrogen receptor positive. When women in the lowest quartile of whole body fat mass were compared with those in the highest quartile, the risk for breast cancer was doubled. Despite having a normal BMI, for each increase of 5kg in whole body fat, the risk increased by 35%. The researchers also found that women with higher amounts of body fat were physically less active, suggesting that exercise might be important even for those who are not obese or overweight. They emphasized that their findings were limited to post-menopausal women and should not be generalized to other populations or other cancers. 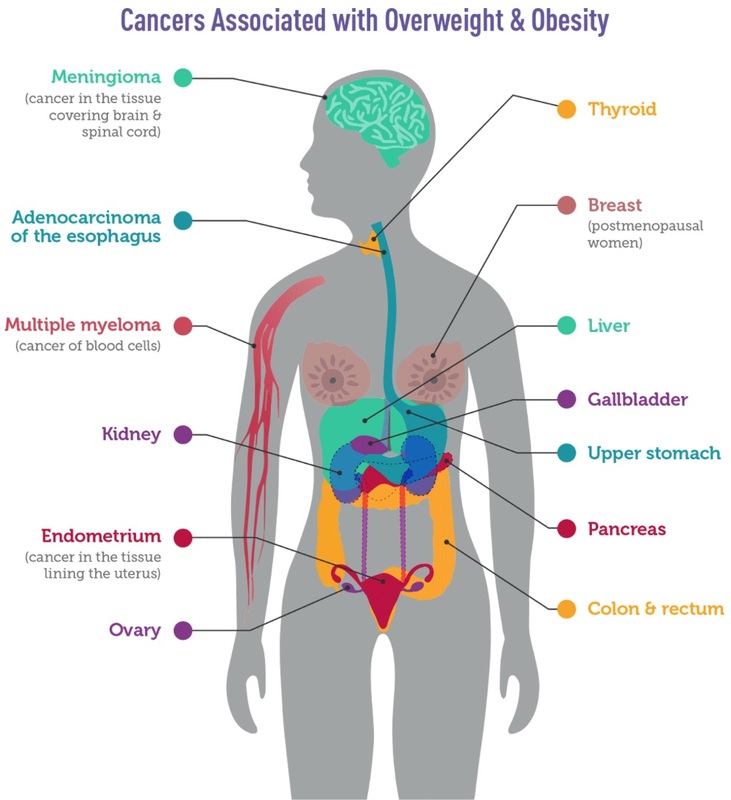 An excellent review of the link between obesity and cancer has been published by the NCI. have now sprained my ankle…wonky knees and now a wonky ankle!! EXERCISE IS OFTEN DISREGARDED AS A THERAPY TOOL! HELPS DEPRESSION PRODUCING ENDORPHIN , THE MORPHINE OF THE MIND) A RUNNER`S HIGH. You know better. We have to fight results like : Women who lay on their rights side during night have a larger risk on ???? 0,0012 higher risk on developing breasts cancer. YOU CANNOT TREAT A BREAST CANCER BEFORE YOU FIND IT!